Great news! Kalev Estienne is happy to OFFER our 2019 Summer Camp to children of all ages and skill levels! Whether your child is just starting out, or is a gymnast that wants to upgrade their skills over the summer break, join us for a fun filled day! Gymnasts will develop core skills such as balance, strength, flexibility and coordination while using apparatus such as balls, hoops, and ropes. at Doncaster Gym (60 Doncaster Avenue, unit #7. Thornhill) and Korean Church (67 Scarsdale Road. North York). Summer Camp at our Doncaster location is ideal for young girls are are just starting out in Rhythmic Gymnastics. Our coaches will be focusing on stretching and apparatus technique (balls, hoops, ropes, and ribbons), all while making sure your child has fun! 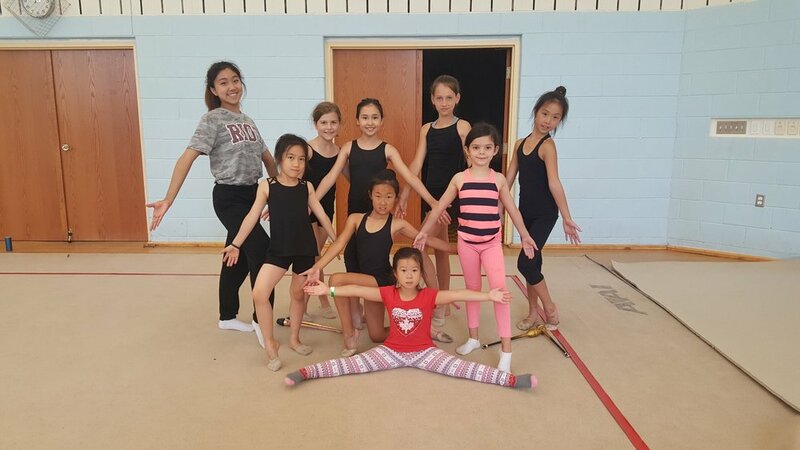 Summer Camp at our Korean Church location is ideal for young girls are are just starting out in Rhythmic Gymnastics, as well as girls who are ready to get on the competition floor! Our coaches will not only be focusing on stretching and apparatus technique, they will also be creating routines for our competitive gymnasts. REGISTRATION FOR SUMMER CAMP IS NOW CLOSED! THANK YOU coaches for all your hard work this summer! Camp wouldn't be the same without you!